Intel was the target of an elaborate hoax Thursday that drew attention to its plan to invest almost $6 billion in a chip plant in southern Israel. The person went to some length to make the hoax look real, building a fake website that looked a lot like Intel’s own news room. The release included the phone number for a supposed press contact who answered the phone to reporters Thursday, assuring them the release was genuine. 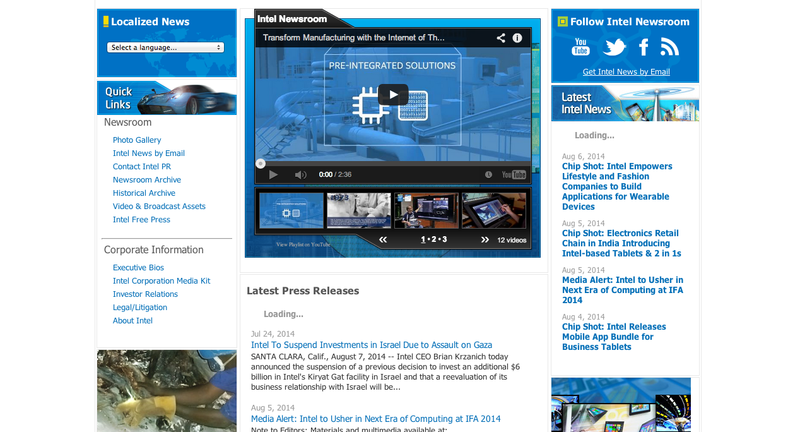 A hoax website built to look like Intel's press page. Intel got wind of the hoax and distributed its own statement. “The purported news release does not come from Intel and is false,” the company said. “The purpose was to show the disconnect between what companies say and do regarding corporate responsibility and human-rights. Intel is not unique in their inaction with respect to their stated corporate citizenship values,” the statement read. “Intel taking a stand against an out of control government would make them a better corporate citizen,” it said.